THE COASTGUARDS AND THE MAN THEY COULD NOT HANG. 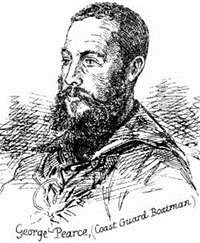 John 'Babbacombe' Lee was twice in the employment of Emma Keyse. He was also in the navy, convicted of theft and accused of killing Miss Keyse. 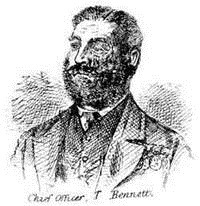 He served a life sentence of penal servitude from 1885 - 1907 when he was released. Lee sold his side of the story to 'Lloyds Weekly News' and became a 'personality' through the music halls and silent cinema. John Lee eventually became an 'admired' and quite rich personality. In reality he secretly fled (illegally) to America in 1911 with a bar maid who claimed, incorrectly (and also illegally), to be his wife. John Lee had deserted his real wife, Jessie, he so publicly married at Newton Abbot in 1909. Poor Jessie ended up at Lambeth Workhouse, pregnant with their second child and alone with no money. John Lee, a convicted British murderer, lived in America for 34 years with a woman claiming to be his wife and died in Milwaukee in 1945 - sixty years after he cheated the gallows at Exeter, UK. 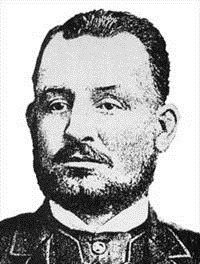 Berry, James English hangman between 1884 - 1892 during which time he carried out around 200 hangings. He was the first British executioner to write his memoirs "My experiences as an executioner". He was, like fellow hangman, Marwood, satisfied with his 'calling'. James Berry had previously been a policeman in Bradford and had met Marwood and become familiar with his methods. 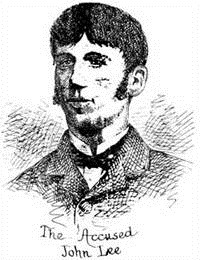 One of his most famous jobs was of John Lee on the 23rd February 1885 at Exeter prison. Normal preparations were made on the gallows in the coach house at Exeter prison but when Berry pulled the lever nothing happened. Officers stamped on the trap but to no avail and Lee was then taken back to his cell whilst the gallows was tested. It worked perfectly. The process was repeated with the same result and again the trap worked perfectly after Lee was removed. After the third unsuccessful attempt the governor halted the hanging whilst he obtained directions from the Home Office. Pearce, George "At about 4 o'clock I was awoke by (a? Mr.?) Harris and proceeded to Miss Keyse's house. On the way I saw John Lee carrying a bucket. He was dressed in a pair of trousers, a shirt, a collar fastened by a stud. I went into the dining room. Gasking, Harris and two of my men were there putting out the fire. I went upstairs went into the bedroom on the left where the feather bed had been on fire but extinguished". 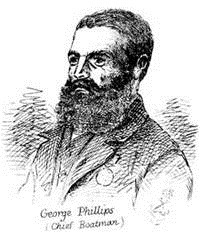 Phillips, George "I was awoke by a noise of someone calling on Saturday morning at about 4 am. I got up & (dashed?) down stairs & ran to the house. I went into the dining room. Mr. Gasking was there and John Lee they were (knocking?) out the fire. The room was burning in parts. I noticed the pool of blood in the hall. I went upstairs to the Honeysuckle Room. The bed was smouldering. The (wall) was smouldering also I knocked away some of the partition. To knock out the fire I asked for a hatchet. Then Lee brought me one. The fire was got under in that room. I then went down to take charge of the body. When I saw John Lee he was in the dining room. He had his shirt & trousers on and a white collar fastened. I did not notice whether the shutters were open or not. 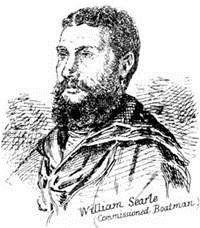 Searle, William "Prisoner was there and said "I'll get you something". He brought the hatchet produced, brought it very quickly. He went downstairs. After the fire was out I was in the Dining Room . Up to this time I had not spoken to Lee. Lee came into the Dining Room , shortly after 7 it was. He put his arm on the sideboard and said "Oh, my dear arm". I said "What is the matter" and he said he had cut it by breaking the window. I wouldn't be certain but I think he had his coat on. He showed it to me, held up his arm so that I could see it. I turned over the sofa in this room and saw underneath a heap of charred papers. On the floor between couch and chair there was another heap of papers". Un-named Assistant About 9 o'clock on Saturday morning I went with Dr. Chilcott to see the body of the deceased. It was in the out building not far from the house. The body was wrapped in sheets but not in any other clothing. I observed that the right foot & leg were very much burnt. The left leg was not much burnt but there was one hole burnt in the (strelling?). The thighs were somewhat burnt. The abdomen was considerably burnt. The chest was (also?) more, burnt the head and neck were not at all burnt. The hair was not even singed. On the throat there was a very extensive wound. It extended from the angle of the jaw on the left side a little below the ear downwards & across the throat a little beyond the (middle line?) of the throat. The wound had divided all the muscles, (the caroted?) artery, the jugular vein, the wind pipe, the gullet & the muscles in part of the (head) & it had notched the vertebrae of the neck. The wound, I think, was made when she was not quite dead. There were three wounds on the head. There was one at the back of the head. It was about an inch long through the scalp. The skull was not fractured there. There was another wound on the top of the head called the (vertex?). The scalp there was divided. The skull was fractured and depressed there".